We are in the final days of Toys R Us. A company that’s been part of our lives for the past 70 years is nearing its end. Exactly 9 months ago I made a video about their decline that talked about their core issues. 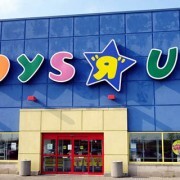 It essentially told the story of Toys R Us, with the exception of the final chapter. This video completes the story and talks about what’s been happening over the past 9 months and why they weren’t able to recover.